We put this article together with much hesitation. There are hundreds of articles from sites about emergency preparedness, survival and bug out bag kits. So lets begin by saying that NOBODY can tell you what you should have in your kit. While there are basic items that can be suggested to help cover the main necessities during an emergency, there is no turn key solution. Why do we say this? Ask yourself a few questions.... How can anyone have a full understanding of what you would need in an emergency? For example, What environment would the kit be used in? Is the kit configured for urban or rural? Are the same items used in an arctic environment as useful in the desert? If the kit is a pre-packaged deal, what is the quality of the items? 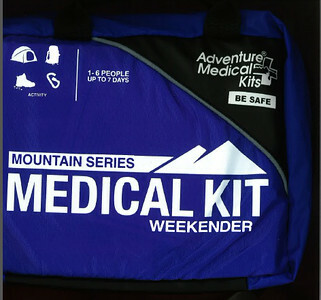 It is no different than a first aid kit, you can buy a thousand dollar medical kit but without the knowledge of what to do with the items, its pretty useless. What level of experience does the person writing this article have using the gear in the environments. 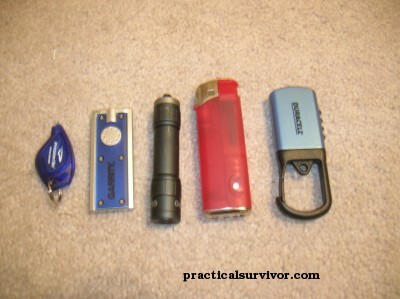 For this scope of this article we will discuss a items that are helpful in a personal emergency preparedness or survival kit. Choose your poison. With that being said, if we mix knowledge with some basic tools we can drastically improve our chances of getting through an unexpected emergency. Every year lives are lost in natural hazards. When we hear the media cover the story we usually wonder, how would I have handled the situation. This brings us to the subject of preparedness. 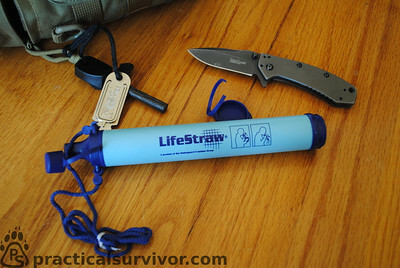 Having a survival kit can make all the difference. In 2012 alone search-and-rescue missions in the National Park System cost the agency nearly $5.2 million, and in many cases the individuals spurring the rescues were ill-prepared or out of shape backpackers. Source What if search and rescue is not on the way? What if we extend the numbers outside of the national parks system. Whether you are on a boat, snowmobile, or on a hunting trip an injury or wrong turn can turn the trip into an unforeseen misadventure. 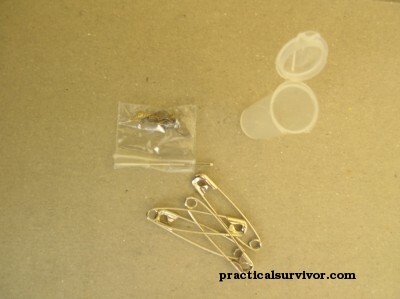 Although a pre-packaged survival kit might be sufficient for some situations, choosing and practising with your own kit components can make a substantial difference. As with any other learned skill, repetition is the key. Fire making skills will most likely be needed when its wet and cold not during a sunny 80 degree day. The more familiar you are with the terrain you will travel, the simpler your selection becomes. Do not wait to find yourself in a stressful emergency situation to learn if your gear or skills are sufficient. 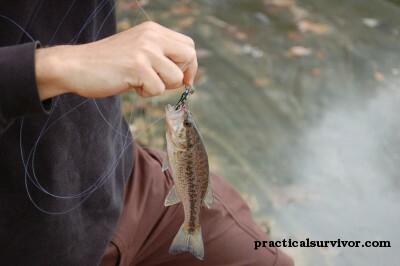 What we can do however is share items that can be used during most scenarios despite the environment. 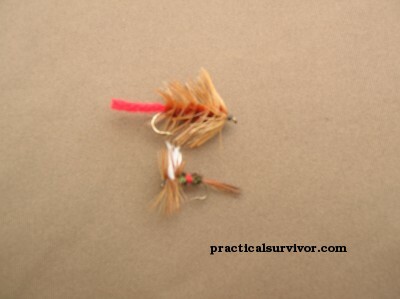 Once the basics are covered, it is up to each person to take the time learning the skills and how to improvise. Mental preparedness is more important than the gear. When building a kit, we try to think of the basic necessities a human needs to subsist. Often we hear about the survival law of three. This was used as a basic guideline but your most immediate need will differ for each emergency situation. It has been said many times before, three days without water. However, I invite anyone to spend one active day in a hot environment without fluids. Tell me if there is any other thought in your mind other than having a drink of clean water. The human body cannot live without water for long. So proper hydration is usually on the top of our list. Dehydration symptoms can occur within a day and death can occur within days. Your judgement can be severely clouded after two days without this vital fluid. The first step is to locate a water source but once the source has been established, we must take the proper steps to purify it. Drinking improperly purified water will increase chances of water loss through water-borne disease. 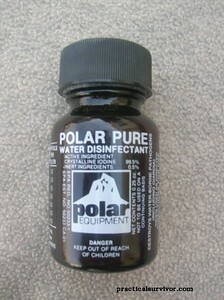 Our kit should include items that will help us with water storage as well as purification. Making the water safe to drink can be done through boiling, filtration, chemical purification and distillation. Special consideration should be taken if the water is contaminated by pollutants such as chemicals, oils or sewage. This was the case in hurricane Katrina. If unable to purify using these methods, there are makeshift filters that can be built. Makeshift filters are beyond the scope of this article. We will cover methods that can be added to any emergency preparedness kit. There are a lot of options for carrying water. Perhaps your backpack has a built in bladder or you prefer to carry a nalgene bottle. With some minor modifications we can ensure the water we drink is safer. There are in-line filters you can add to the water bladder hoses such as Sawyer's 3 way water filter. Replacing the plastic nalgene water bottle with a stainless steel bottle allows us to use the bottle for boiling and cooking. 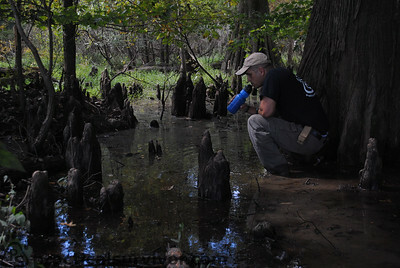 Water Filtration straws and bottles are a good lightweight options for cleaning most of the nasty stuff out of the water. The lifestraw water filter is rated at 0.2 microns and the Sawyer personal water bottle filtration system filters down to 0.1 micron. Water filter systems such as the MSR Miniworks EX microfilter and the Katadyn Combi Microfilter are really nice options as well. It is extremely important to learn about the different things that can cause harm. Bacteria, viruses, chemicals and heavy metals. With the biggest concern for a short term water filtration system being bacteria and viruses. Learn the size of each contaminant and ensure that your filter choice covers it. Water can be purified by boiling, distillation or with the use of chemicals. Boiling is self explanatory. Depending on altitude the general rule is to bring water to a boil and keep it rolling for one minute to purify it. Boiling time should be increased at higher elevations. Distillation is defined as a process of separating the component substances from a liquid mixture by selective vaporization and condensation. By boiling the water and capturing the water from the evaporation, we are able to remove the harmful pathogens and turn salt water drinkable. Can be used for water purification and can also be mixed with other chemicals (glycerine) to create ignition. 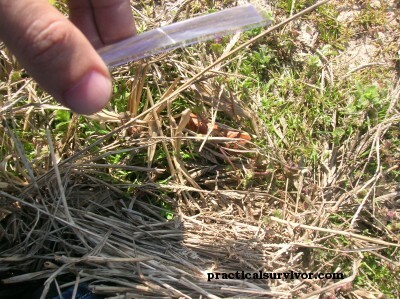 Water can be gathered without much effort using several clear bags. We place the bag over a tree branch facing the sun and seal it. As the day passes water condenses in the bag and drips to the bottom. We have been able to produce over a cup of water with two bags in a ten hour time period. Care must be taken not to put the bags on a poisonous tree. The importance of shelter will vary depending on the location and season. Whether in the desert or a boreal forest, shelter building skills are essential. 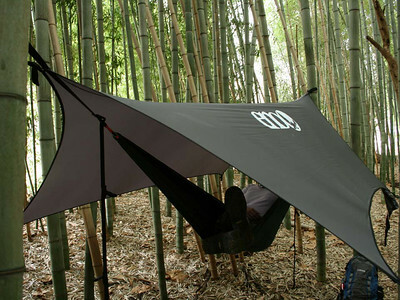 Shelter can keep you out of the elements. Getting out of the sun during the day and keeping you warm at night. 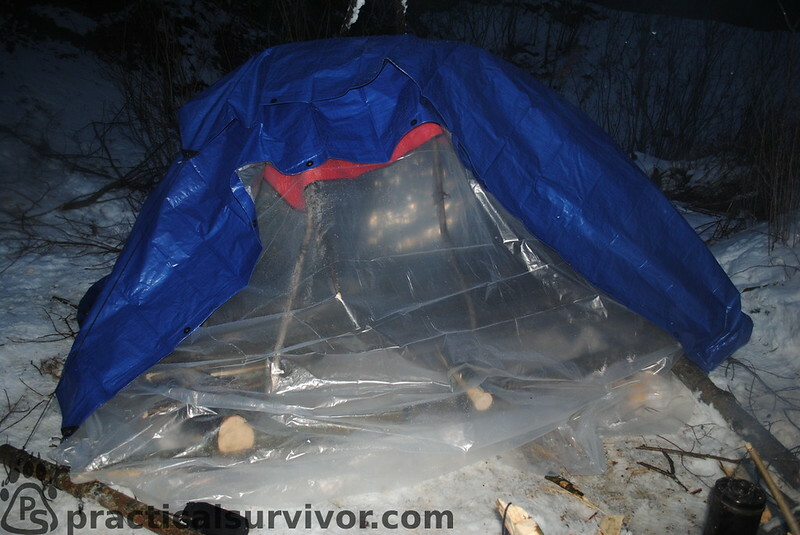 A poncho, tarpauline or plastic sheet can be used to build a temporary emergency shelter. While carrying shelter building items is a good idea, learning shelter building skills is something you always have with you. It is important to learn how to make shelters out of natural materials such as the debris hut or a lean to. Adding a reflective wall will increase the warmth of the shelter. 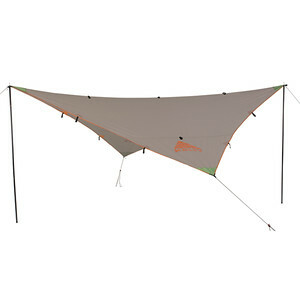 A poncho or tarp can be used to put together a shelter. We can create different shelters such as the a-frame (double lean-to), lean-to, and other modified shelters. 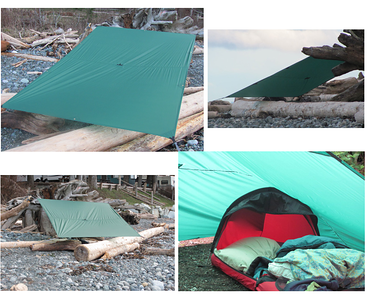 Carrying a poncho or tarp reduces shelter build time when minutes can make the difference. 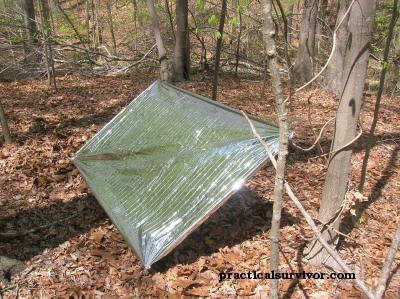 Using a tarp with a reflective wall will improve heat reflection if using a fire. Mors Kochanski's super shelter can be built using a combination of tarps and mylar blankets. The radiation from the fire comes through the clear plastic sheet and reflects back down onto the shelter occupant. Usually smaller than the poncho or tarp, mylar emergency blankets are popular amongst outdoor enthusiast. 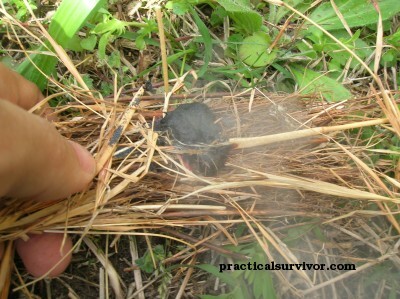 The average survival blanket is not not sized to cover the entire body at a crouched position or standing. Keep this in mind and test your blanket. Lean-to shelter using the survival blanket. Fire, a flame full of warmth and mental health. Not only will fire help keep us warm, but it can also provide light and comfort. Much of survival is mental. Something about a fire makes us feel like we have better control of the situation. It gives us a way to purify water, cook, and signal for help. 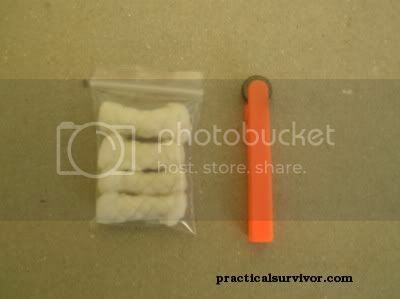 As with many items in our kit, we believe in carrying multiple ways of starting fire. 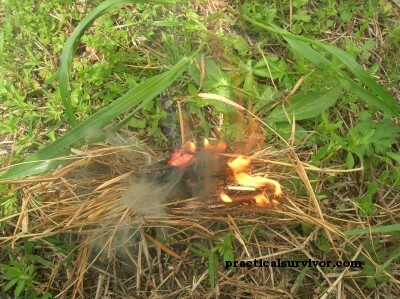 Fire starting items are lightweight and inexpensive. Ongoing internet arguments as to which item to carry are pointless. 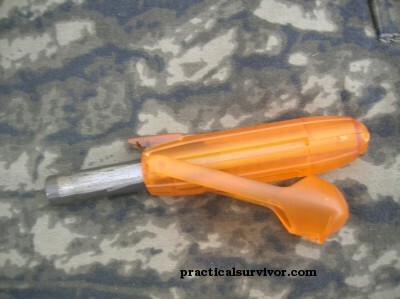 Carry a lighter, a ferro rod and waterproof matches. Add several forms of tinder, primitive fire starting skills and we can feel pretty confident that we have what we need to start a fire. Ferrocerium rod fire starters such as Swedish Firesteel, Blastmatch, or just a small ferro rod. You can add ferrocerium rods to your shoelaces. FerroLace Article Here They are very easily added to your equipment ensuring it will be there when you need it most. Firesteel is waterproof, you can dip ferrocerium in water and still get sparks. 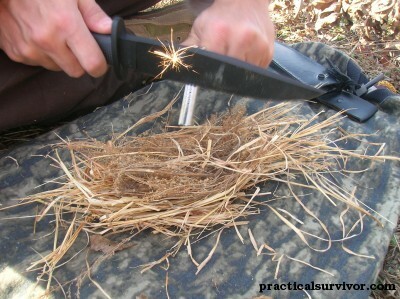 If the tinder is damp, we can slowly scrape part of the rod allowing for longer burn once ignited with a spark. It is said the human body can endure living without food for weeks. However, we should assess the situation and eat readily available sustenance from the moment we realize we are in a survival situation. Proper nutrition will prevent disease and keep us mentally strong. Mental health plays a considerable part of our will to live. 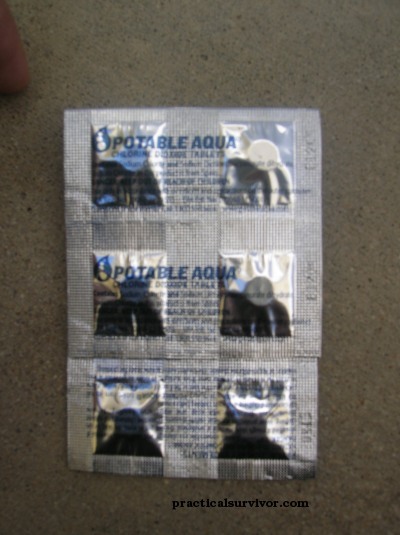 Electrolytes - only take electrolytes when adequate water supply is available. Compass - map of the area traveling, be familiar with it. Signaling mirror can be seen for miles under the right conditions. Newer models are lightweight and rugged. The Ultimate Survival Technologies StarFlash Emergency Signal Mirror is just one example of a high quality signaling mirror. Make sure you practice using the mirror before you need it. Items to help with an injury are always a good idea. Getting the proper training from a well established group such as NOLS (National Outdoor Leadership School) should be on everyone's list. With that knowledge we can build a kit and be familiar proper use of the items. There are several companies that make a great foundation for a First Aid Kit. It is important to properly clean and cover cuts. An infection could become crippling and keep us from walking out of the bush. We recommand the WMI Wound Pack from the NOLS website. Build up on the foundation adding items will ensure most emergencies are covered. 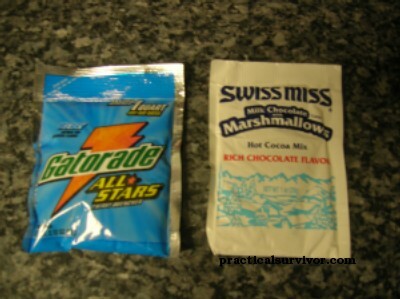 Remember items in first aid kit can be used for other emergencies. Alcohol wipes, magnifying glass and bandages can all be used for fire starting. Duct tape can be used to repair your boots or cover a blister temporarily. Its usually the items we do not think about that become important. Make sure you have tweezers, preferably with a magnifying glass, a surgical blade can also be helpful in some cases. Do no underestimate injuries like blisters, splinters, thorns. They can quickly become infected and painful. 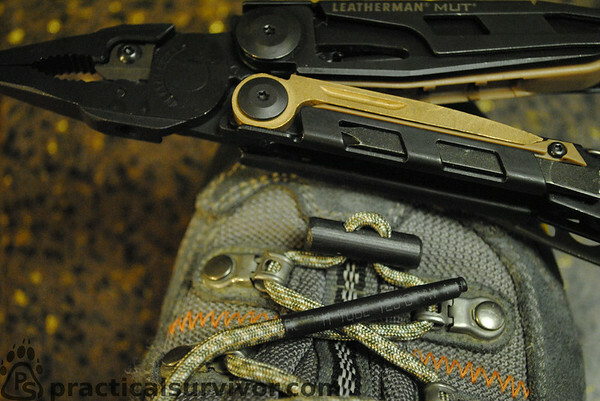 Another option is to carry a saw blade with bolts inside of a tin. We can then build a bow saw.